The National Nurses Organizing Committee (NNOC) is a national union and professional organization for Registered Nurses, Advance Practice Nurses, and RN organizations who want to pursue a more powerful agenda of advocacy, promoting the interests of patients, direct care nurses, and RN professional practice. NNOC is proud to be an affiliate member of National Nurses United, organizing in Florida, Illinois, Maine, Missouri, Pennsylvania, and Texas. 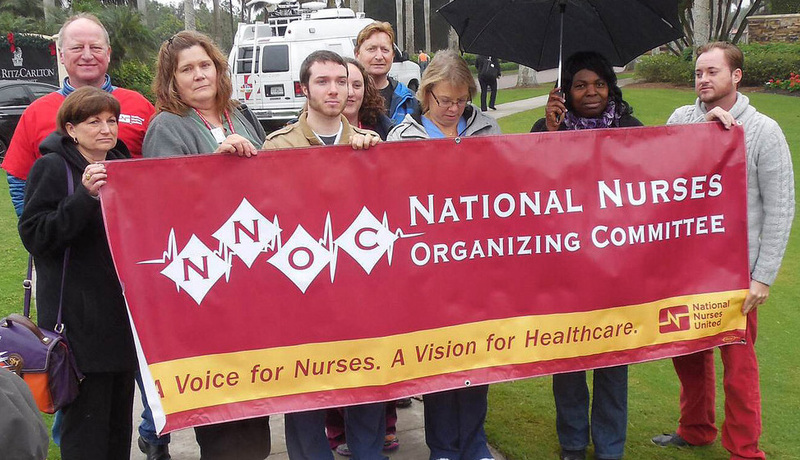 NNOC was founded by the California Nurses Association in the spring of 2004 in response to an overwhelming demand by direct-care nurses for a national vehicle to address the crisis faced by RNs, and to achieve improvements modeled on CNA's accomplishments. Want to learn more about CNA's successes? Want to learn more details about these elements?